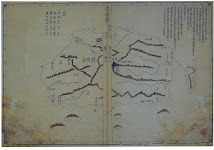 The map below is a map of Uljin (蔚珍) from an atlas entitled "Dong Yeo Go Sil (東輿攷實), which is part of the Asami Collection at the University of California at Berkeley. (See HERE.) 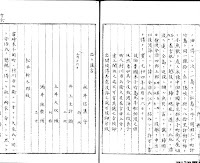 I found the atlas on the "Center for Korean Studies Materials" Web site HERE. 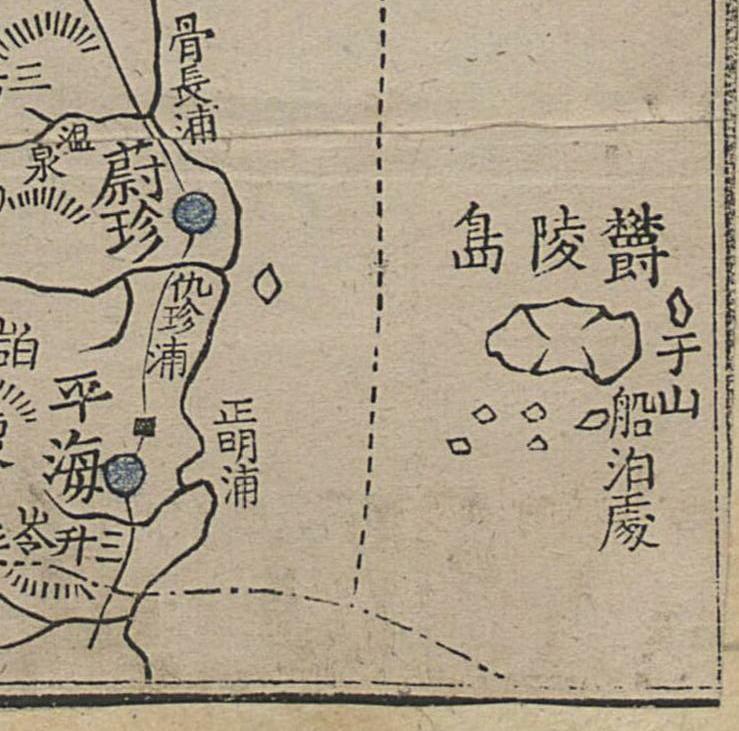 The interesting thing about the map is that it shows two islands east of Uljin labeled "Ulleungdo" (鬱陵島) and "Muleungdo" (武陵島), with a note saying that Muleungdo is also called "Usan" (于山). 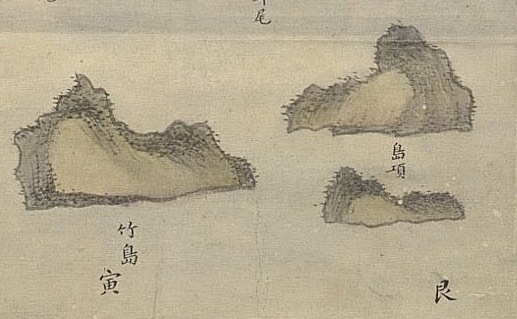 Muleungdo is drawn to the west of Ulleungdo. 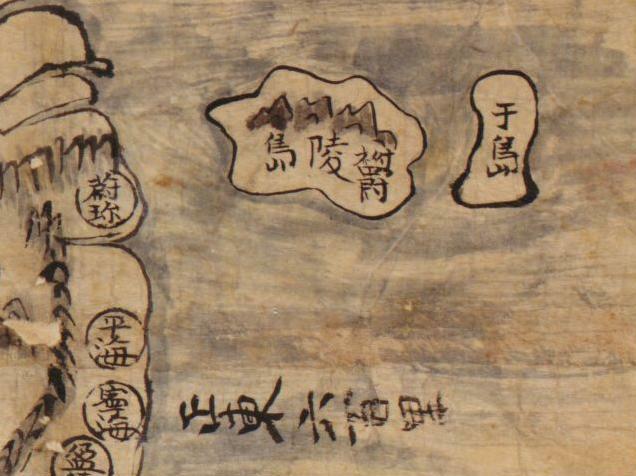 The maps in this atlas are similar to those found in the "Dong Yeo Bi Go" (東輿備攷) atlas, which is believed to have been made about 1682. 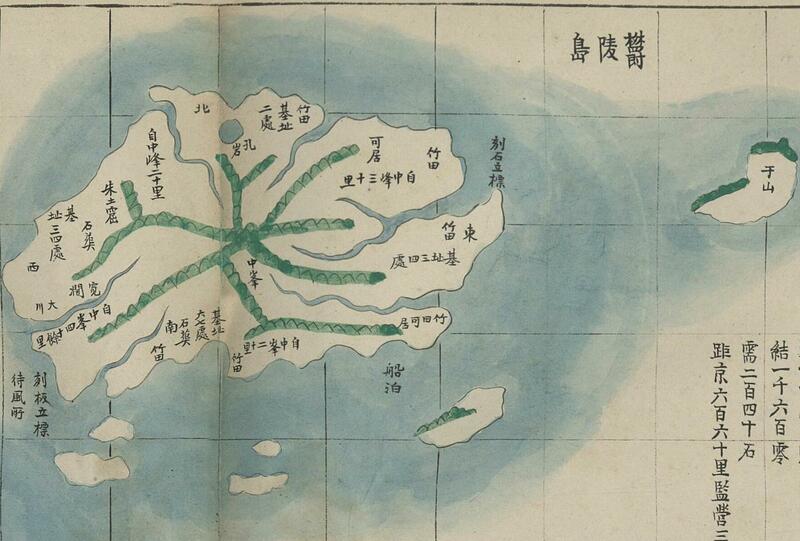 This is map comes from the 1834 atlas "Cheonggu-do" (靑邱圖), made by Korean geographer Kim Jong-ho (金正浩). 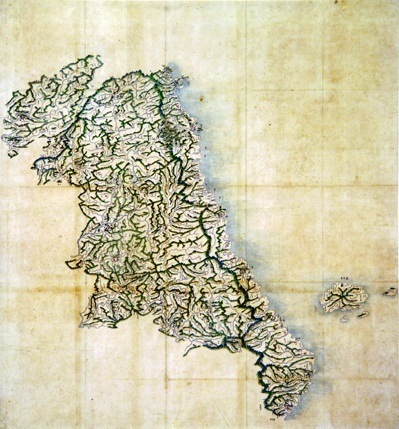 The map shows the eastern half of Ulleungdo. 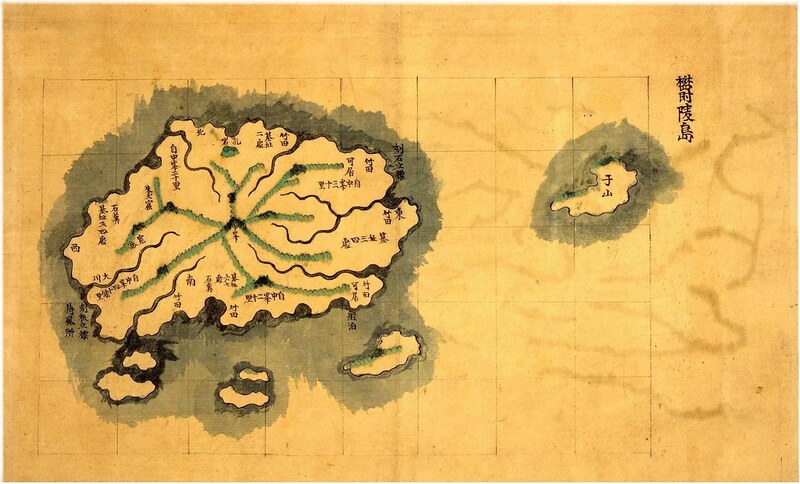 Just off the east shore is a neighboring island labeled "Usan" (于山), which was the old name for Ulleungdo's neighboring island of Jukdo (竹島). 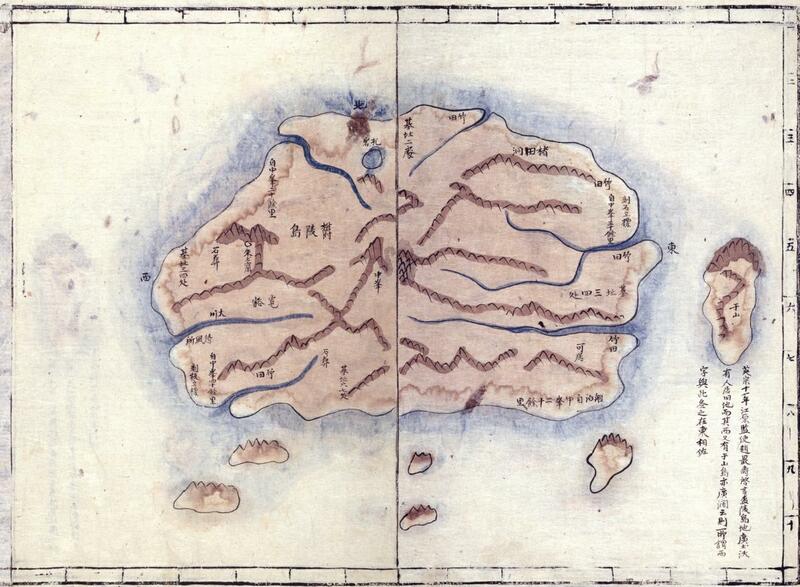 Each map page in the atlas has a ruler along the top, side, and bottom. 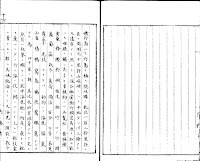 Each segment of the ruler represents 10 ri, which was about 4 kilometers. 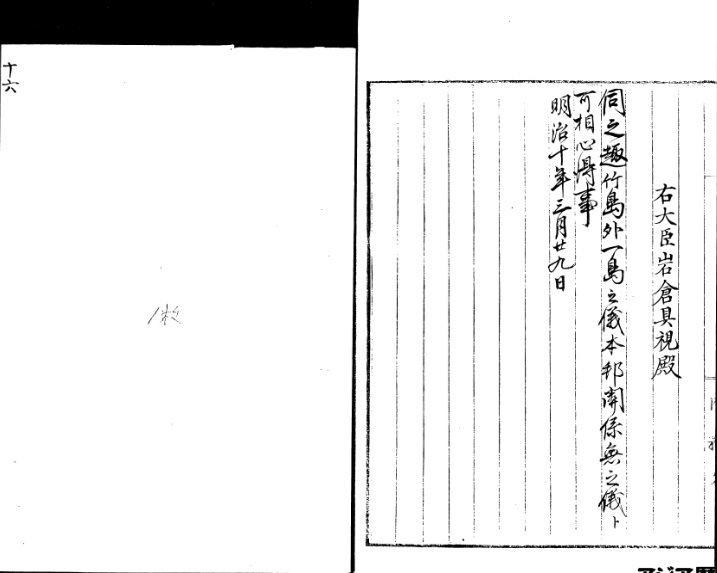 There are seven segments along the top of the page and ten segments along the side. 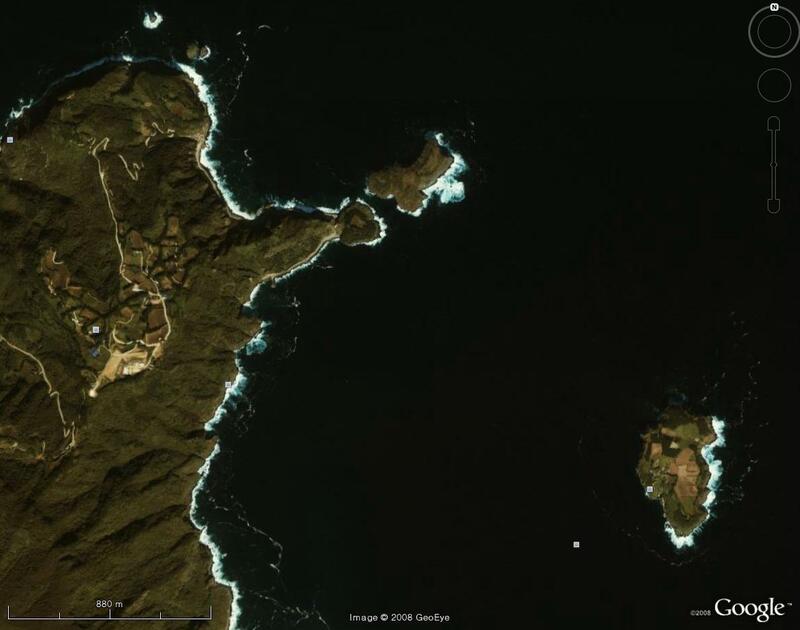 Therefore Ulleungdo's neighboring island of "Usan" is shown to be about 10 ri (4 km) offshore. 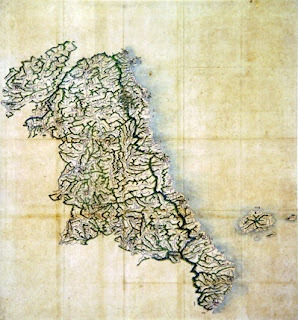 Today, Ulleungdo's neighboring island of Jukdo is between 2 and 4 kilometers off Ulleungdo's east shore, depending from where on the east shore you measure. 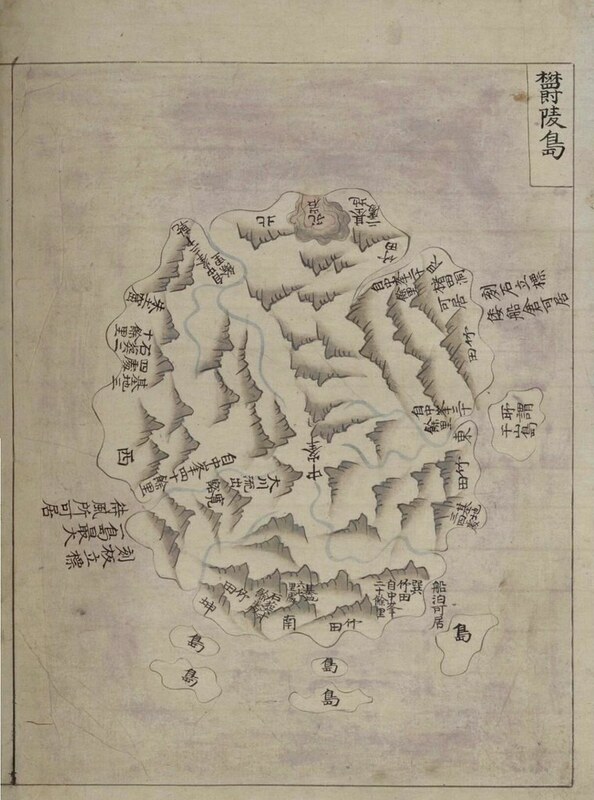 The Korean government claims that Usando (于山島 - 우산도) was the old Korean name for Liancourt Rocks (Dokdo), but this map and many others show that it was the old name for Ulleungdo's neighboring island of Jukdo, 2 kilometers off Ullleungdo's east shore. The map to the left shows Korea's Gangwon Province and the island of Ulleungdo (鬱陵島) with its neighboring island of Usando (于山). 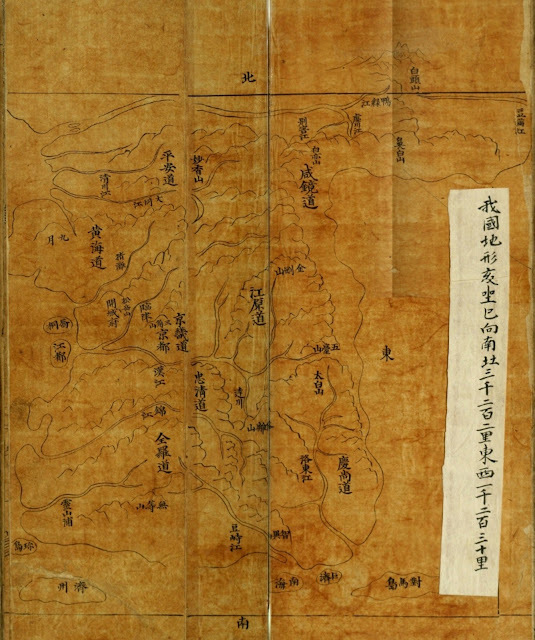 The map is stored in the Hye-jong Museum of Korea's Gyeonghui University. 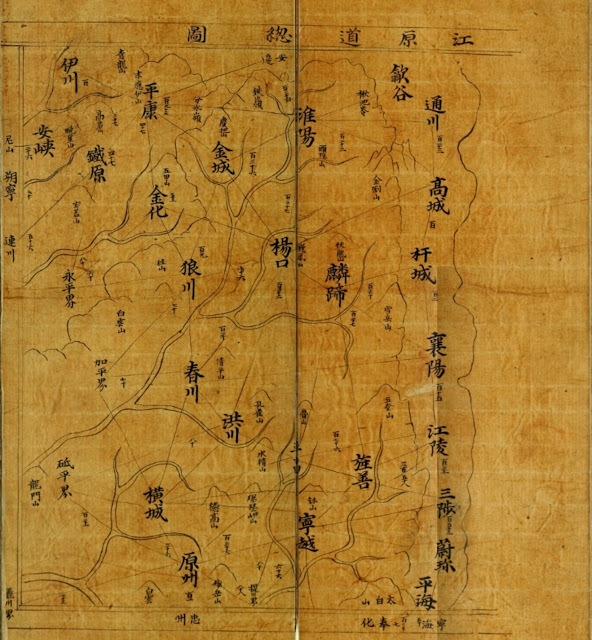 The date of the map is listed as unknown, but the map resembles other Korean maps made in the late 1800s. 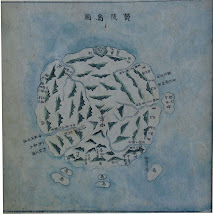 The shape of Ulleungdo's neighboring island of Usando, for example, is similar in shape to THIS MAP, which was made sometime between 1888 and 1895. 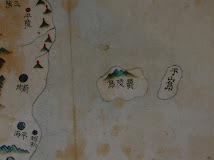 One of the difference between the two maps is that the 1888-1995 map shows Ulleungdo with six neighboring islands, and this map shows it with only four. 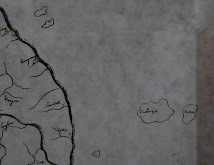 Below is the portion of the map showing Ulleungdo with its neighboring island of Usan (于山). Usando (于山島) was the old name for Ulleungdo's neighboring island of Jukdo, which is about 2 kilometers off Ulleungdo's east shore. 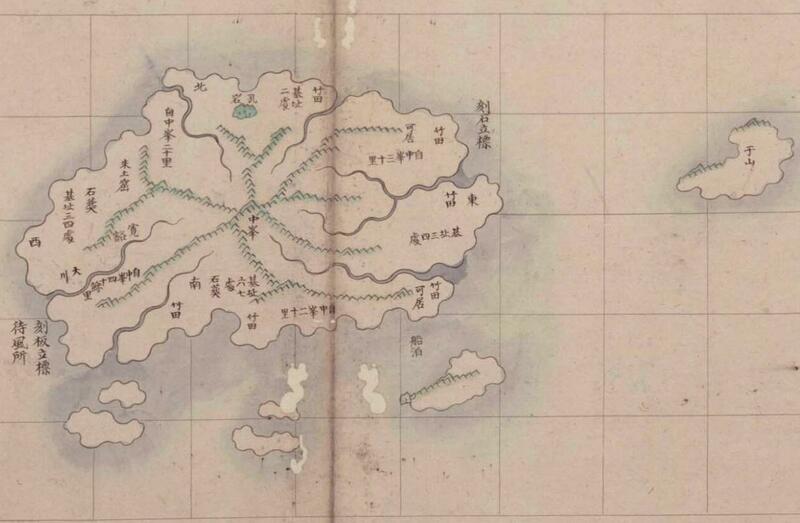 Notice that the shape of Ulleungdo's neighboring island of "Usan" (于山) on the above map is very similar to the shape of Ulleungdo's neighboring island of "Jukdo" (竹島) on Lee Gyu-won's 1882 survey map of Ulleungdo below. 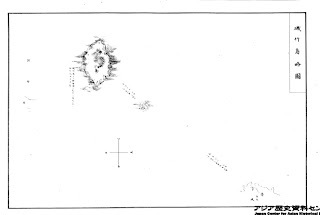 This is one reason I think the above map may have been made sometime after Lee's 1882 inspection. Mr. Tanaka Kunitaka has posted a great copy of Ulleungdo Inspector Lee Gyu-won's (李奎遠) 1882 survey map of Ulleungdo entitled "Outer Ulleungdo" (鬱陵島外圖 - 울릉도외도), which shows Ulleungdo's neighboring islands, rocky islets, and shoreline. Inspector Lee also made a separate map of "Inner Ulleungdo" (鬱陵島內圖 - 울릉도내도), which shows an interior valley labeled "Nari-dong" (羅里洞 - 나리동), also called Guk-dong (國洞 - 국동), and 14 surrounding moutain peaks that jut outward on the map, which caused some to describe the island as being pot-shaped. 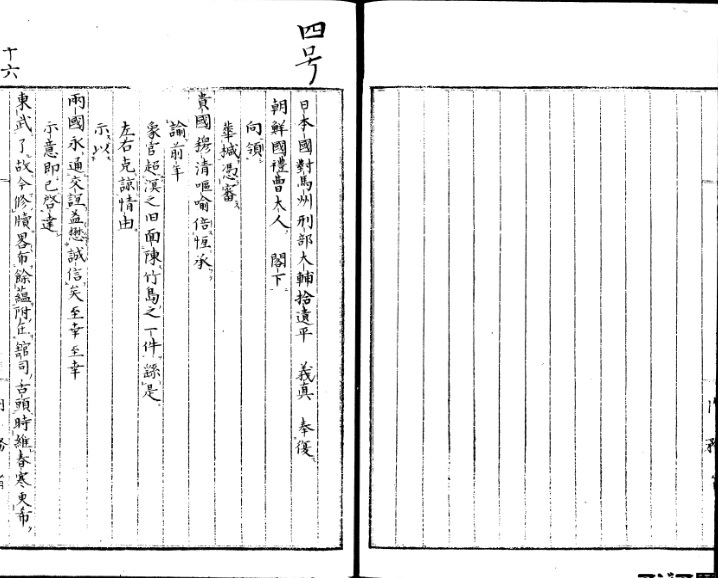 Inspector Lee left on his 1882 mission expecting to find Ulleungdo with one neighboring island called "Songjukdo" (松竹島 - 송죽도), which he had heard was 1.2 to 4 km offshore. 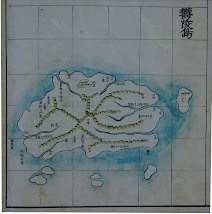 Instead, he found two neighboring islands, one named "Jukdo" (竹島 - 죽도) and the othere named "Dohang" (島項 - 도항). 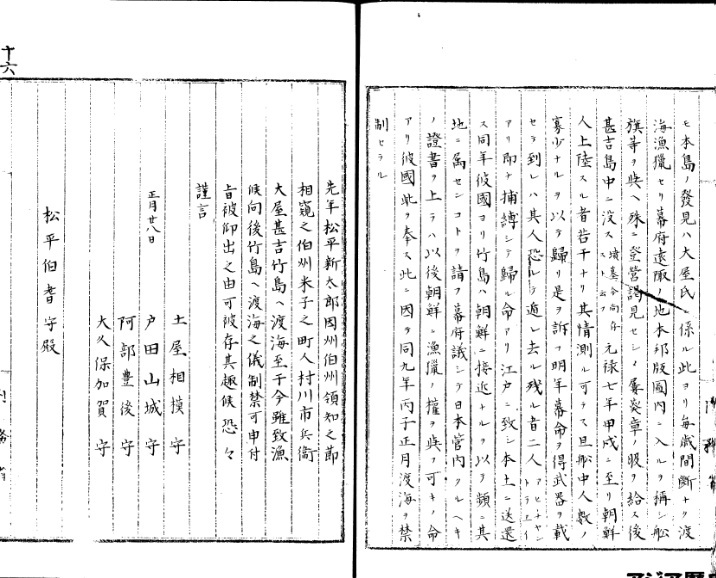 Just prior to the 1882 mission both King Kojong and Inspector Lee said HERE that "Songjukdo" (松竹島 was sometimes called "Songdo" (松島 - 송도) and sometimes called "Jukdo" (竹島 - 죽도), so apparently the name "Jukdo" was being used by visitors to the island at the time. 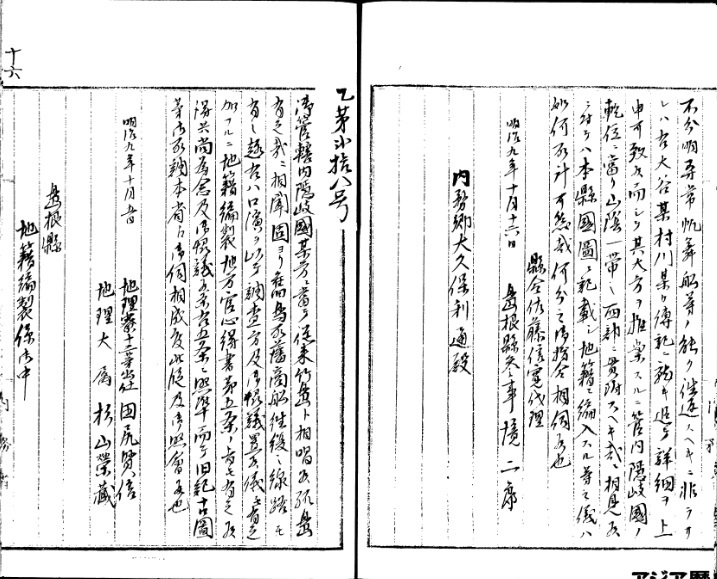 In 1870, a Japanese mission to Korea reported HERE that they had heard that Ulleungdo had a neighboring island called "Matsushima" (松島), which is the Japanese pronunciation for "Songdo." 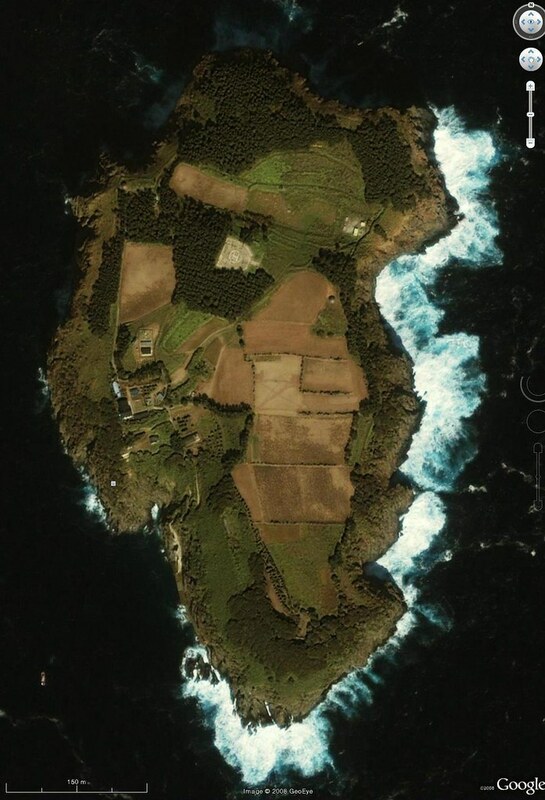 Today, Ulleungdo's neighboring island of "Jukdo" is just 2 km off Ulleungdo's east shore. 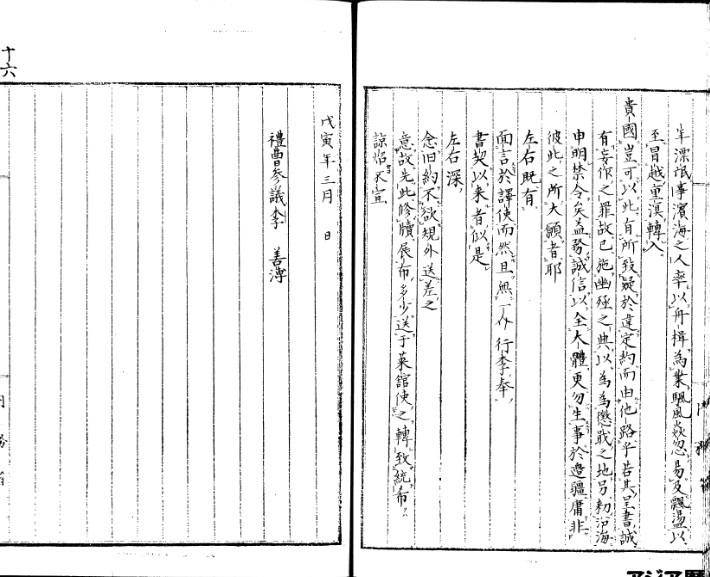 King Kojong had also asked Inspector Lee to search for a neighboring island named "Usando" (于山島 - 우산도), but Inspector Lee was unable to find an island by that name. 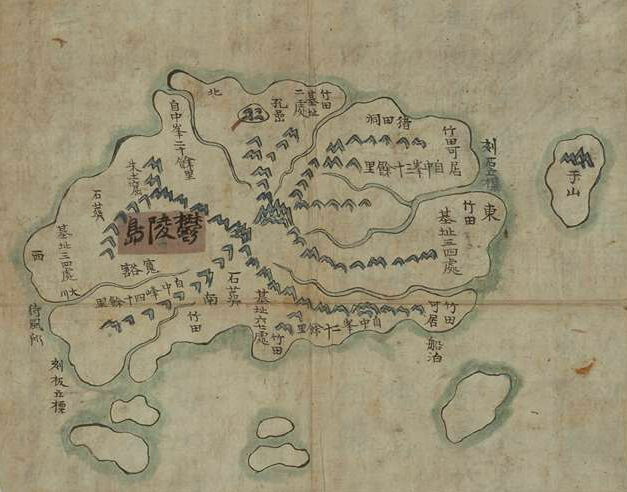 The reason was that Usando was just another name for Ulleungdo's neighboring island of Jukdo, which Ulleungdo Inspector Bak Seok-chang labeled as "Usando" on his 1711 survey map of Ulleungdo HERE. 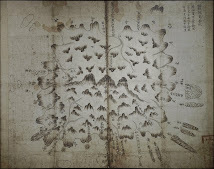 If you look closely at the "Outer Ulleungdo" map, you should see a faint red line that probably traced the trails taken by Lee Gyu-won as he explored the island. 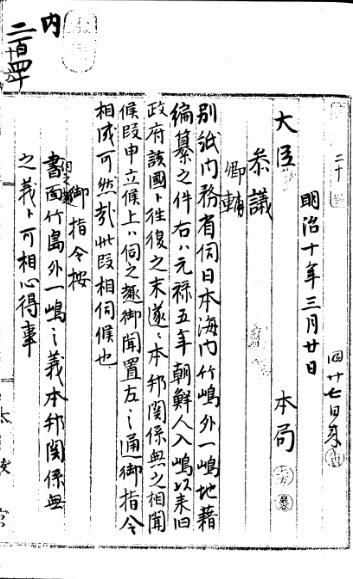 They show that he either entered or existed the island at four different places: "Japanese Boat Dock" (倭船艙) on the northeast, , "Dobang-cheong" (道方廳) on the southeast, "Tong-gumi" (桶邱尾) on the southwest, and "Daehwangto-gumi" (大黃土邱尾) on the northwest. 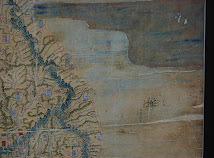 The "Inner Ulleungdo" map also shows a red line. 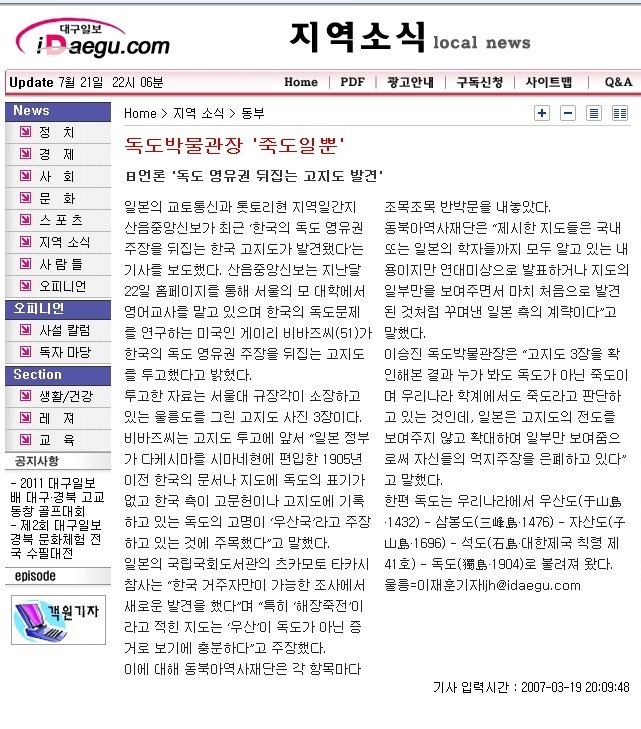 2007 Mar 19 - Dokdo Museum Director Admits Usando (于山島) on Korean Maps Ulleungdo's "Jukdo, not Dokdo"
In the March 3, 2007 article below, the online version of the Korean newspaper Daegu Ilbo reported that Dokdo Museum Director Lee Seung-jin confirmed that the island labeled "Usando" (于山島 - 우산도) on three Korean antique maps appearing in this post was Ulleungdo's neighboring island of "Jukdo" (竹島 - 죽도), which is about 2 kilometers off Ulleungdo's east shore. 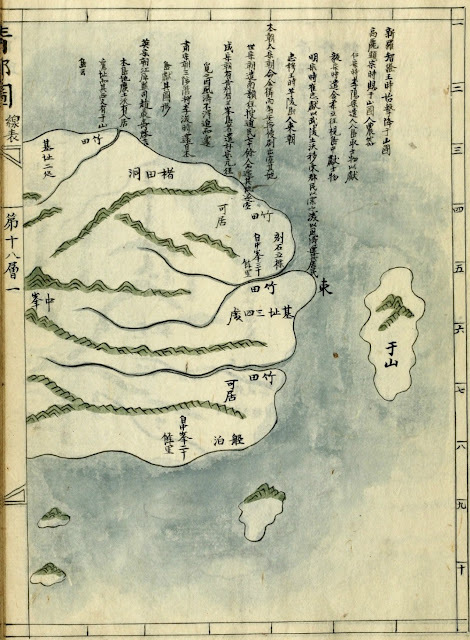 He added that it was not "Dokdo" (獨島 - 독도), which is about 90 kilometers to the southeast of Ulleungdo. 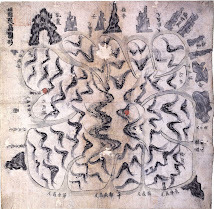 "Dokdo" is the Korean name for Liancourt Rocks, which the Japanese refer to as "Takeshima" (竹島). 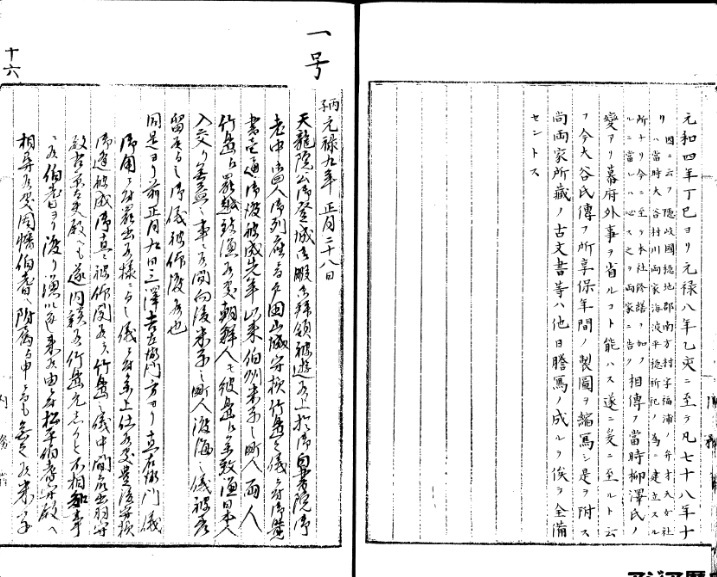 The Korean name for Ulleungdo's neighboring island of "Jukdo" (竹島) and the Japanese name for Liancourt Rocks, "Takeshima" (竹島) both use the same Chinese characters, which has caused some to confuse the Korean island of Jukdo with the Japanese island of Takeshima. 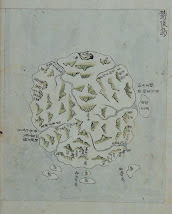 However, in spite of admitting that the Usando (于山島) on the Korean maps was Ulleungdo's neighboring island of Jukdo, the Dokdo Museum Director claimed "the Japanese were trying to cover up their forced claims" by showing closeups of the island on maps instead of the full map, which would not have shown any detail in the newspaper article. 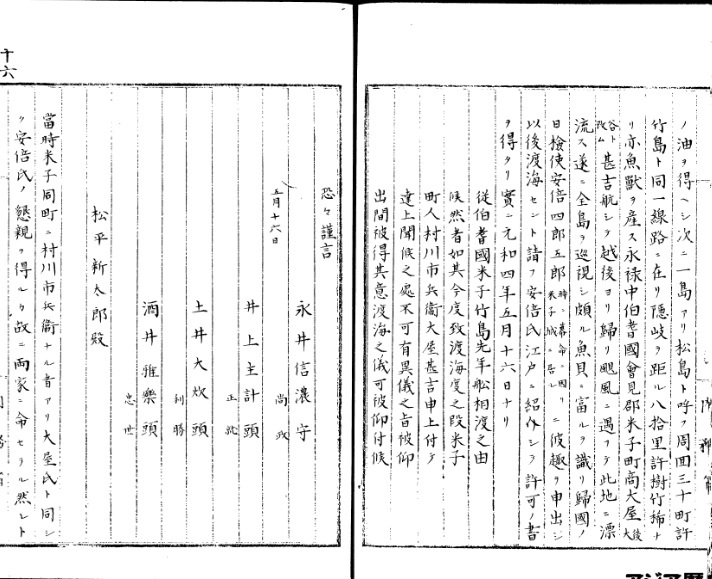 He also still claimed that Usando was one of the old Korean names for Liancourt Rocks (Dokdo), though he provided no evidence to support the claim. 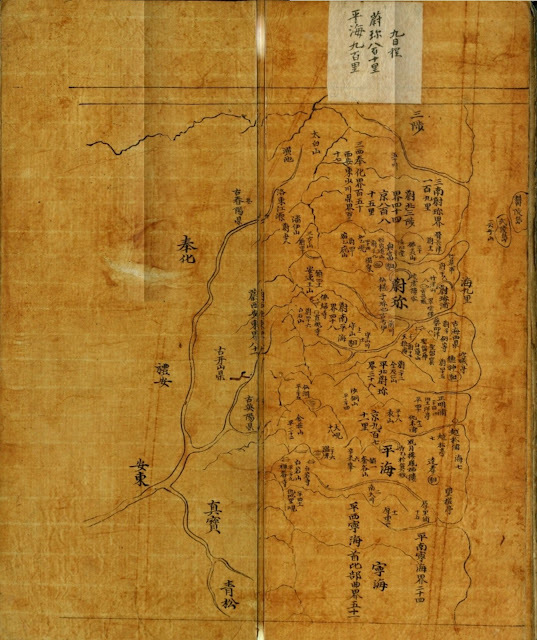 The map above is Ulleungdo Inspector Bak Seok-chang's 1711 inspection map of Ulleungdo (鬱陵島圖形). 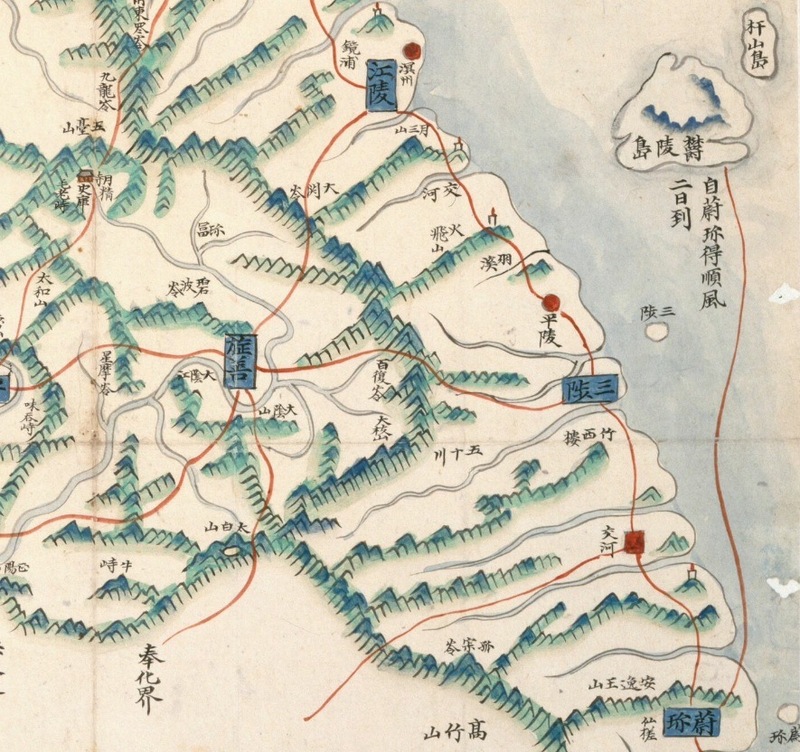 The two maps below, respectively, are Kim Jong-ho's 1834 map of Ulleungdo from his atlas "Cheonggudo" (靑邱圖) and a cut-out from the Gangwon Province (江原道) map from the 1789-1795 Korean atlas "Yeojido (輿地圖). 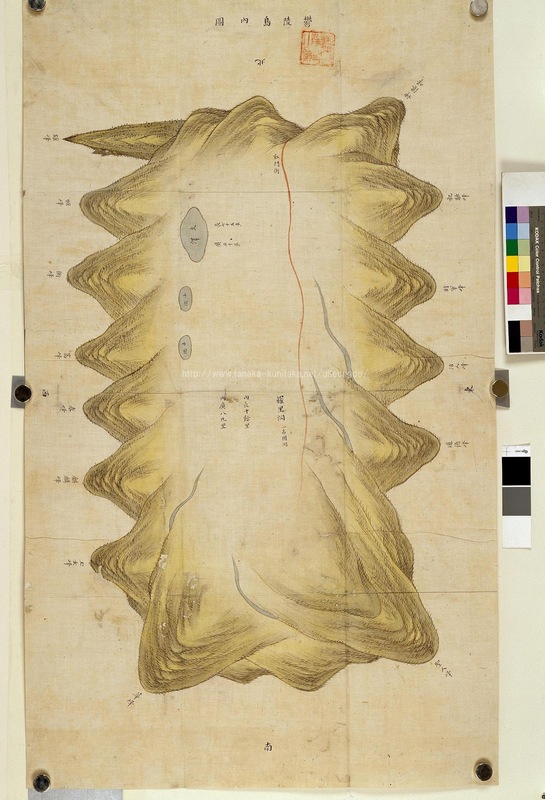 These three maps are the maps that the head of Korea's Dokdo Museum on Ulleungdo said showed Ulleungdo's neighboring island of Jukdo (2km offshore) labeled as "Usando" (于山島 - 우산도). 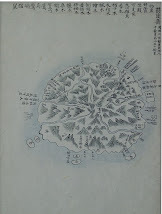 He added it was not "Dokdo" (獨島 - 독도), which is the Korean name for Liancourt Rocks, about 90 kilometers southeast of Ulleungdo. The reason I am reposting this article is that the link I posted to the Korean newspaper article online is, for some reason, no longer working. Fortunately, I had saved a screenshot of it. 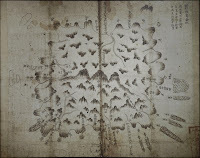 Dokdo Museum Head: "It's just Jukdo"
Japan’s Kyoto News Agency and Tottori Prefecture’s “San-in Chuo Simpo” have recently reported, “Old Korean maps have been discovered that refute Korea’s territorial claims on Dokdo.” The “San-in Chuo Simpo” reported on its Web site on the 22nd of last month that American Gerry Bevers (51), who works as an English professor at a college in Seoul and studies the Dokdo problem, had contributed old maps that refuted Korea’s territorial claims on Dokdo. 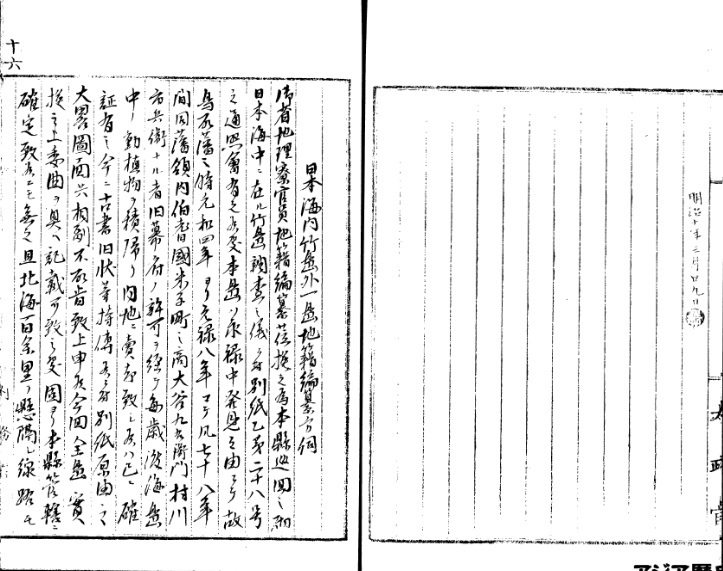 Concerning this, the Northeast Asian History Foundation submitted a statement that refuted the claims item by item. The Northeast Asian History Foundation said, “The contents of the maps indicated are all known by both domestic and Japanese scholars, but by saying that the date of the map is unknown and by showing only part of the maps, the Japanese side is scheming to make it seem as if the maps were newly discovered. 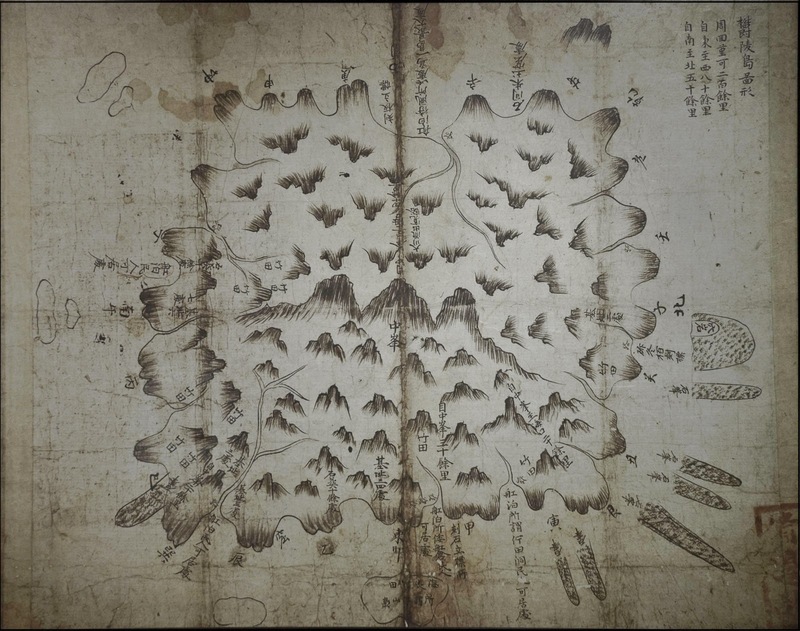 In our country, Dokdo has been called “Usando” (于山島, 1432) – “Sambongdo” (三峰島, 1476) – “Jasando” (子山島, 1696) – “Seokdo” (石島, Korean Imperial Edict 41), and Dokdo (獨島, 1904). 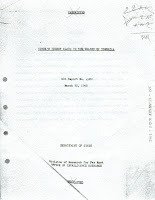 The following March 30, 1950 report entitled "Korea's Recent Claim to the Island of Tsushima" was prepared by the Division of Research for Far East in the Office of Intelligence Research (OIR) of the United States Department of State. 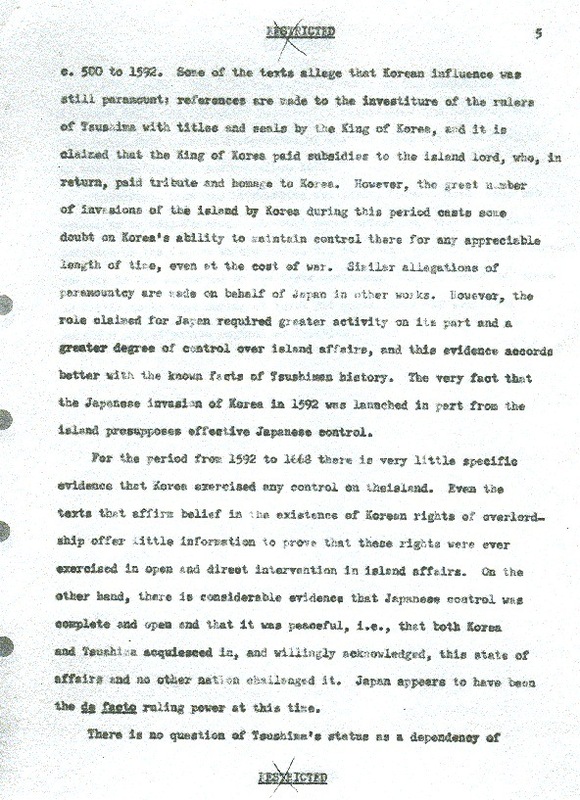 The report essentially says that Korean post-war (WWII) claims of sovereignty over the Japanese island of Tsushima were groundless and seemed to have been based on an appeal to nationalism and anti-Japanese feeling in Korea. 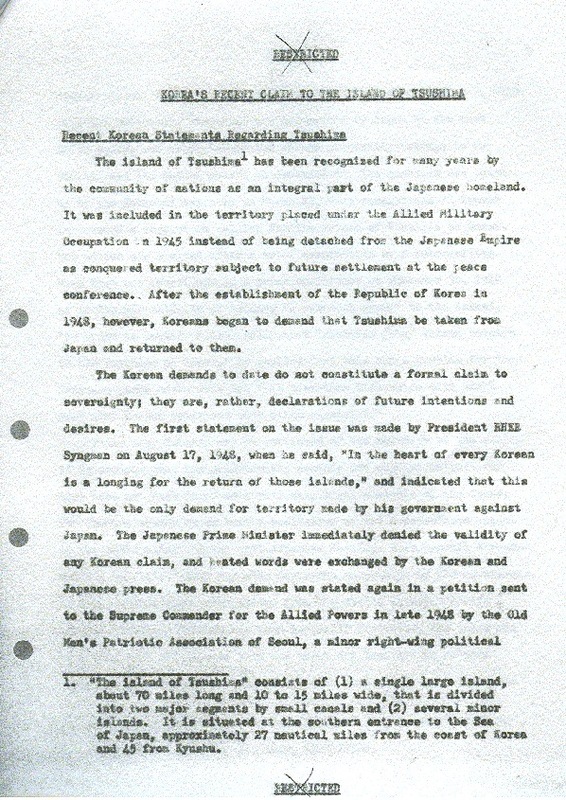 The report mentions Korean President Rhee Syngman's claiming that Tsushima was originally Korean territory and that "In the heart of every Korean is a longing for the return of those islands." 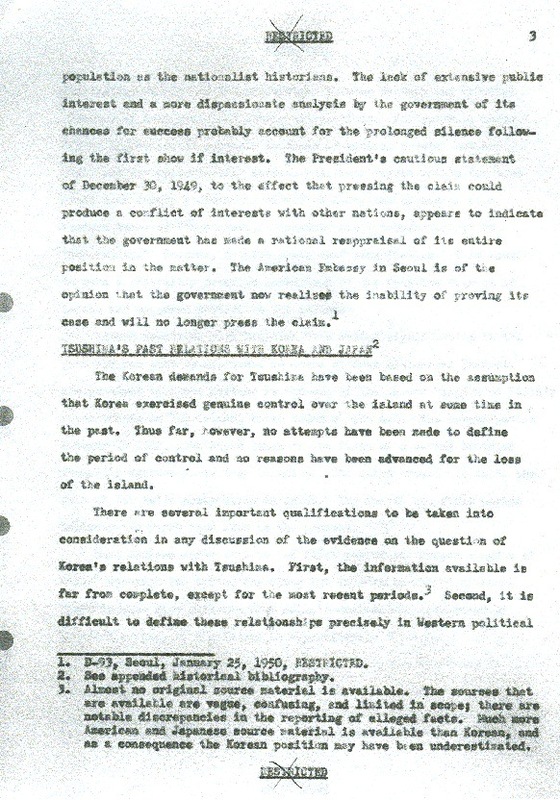 That emotional appeal sounds very similar to the emotional appeals many Koreans make today in regard to Liancourt Rocks (Dokdo), which Koreans also claimed without after the war without providing any evidence to back up their claim. 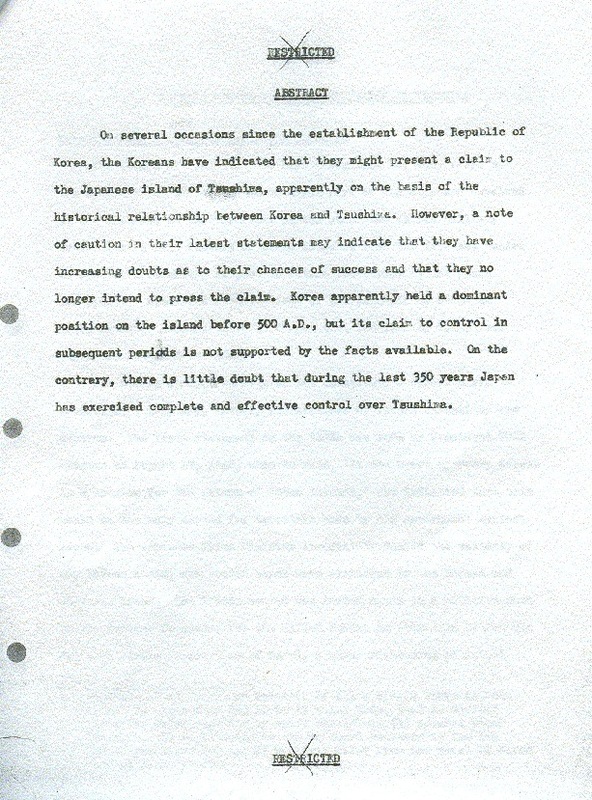 After the war, Korea seems to have tried to take advantage of Japan's defeat by making emotional claims to Japanese territory, including Liancourt Rocks, hoping that the the United States and its allies would simply give Korea the Japanese territory it wanted without checking the facts of the claims. Well, it appears Korea misjudged the United States. 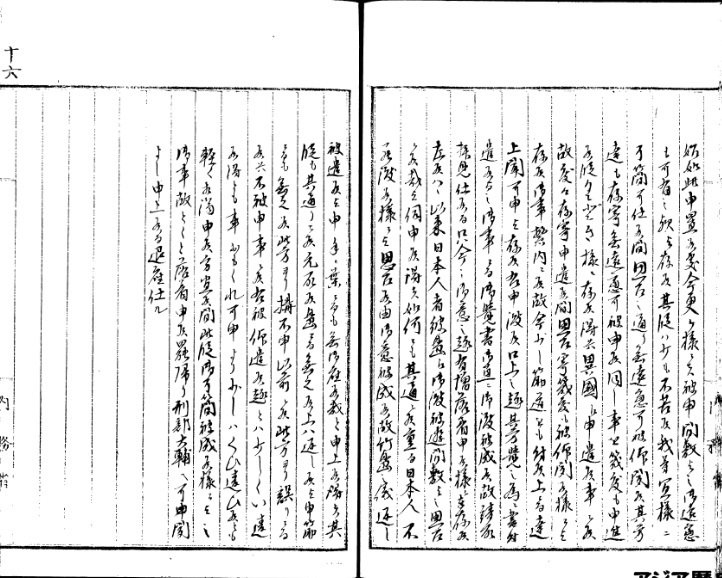 On several occasions since the establishment of the Republic of Korea, the Koreans have indicated that they might present a claim to the Japanese island of Tsushima, apparently on the basis of the historical relationship between Korea and Tsushima. However, a note of caution in their latest statements may indicate that they have increasting doubts as to their chances of succsess and that they no longer intend to press the claim. 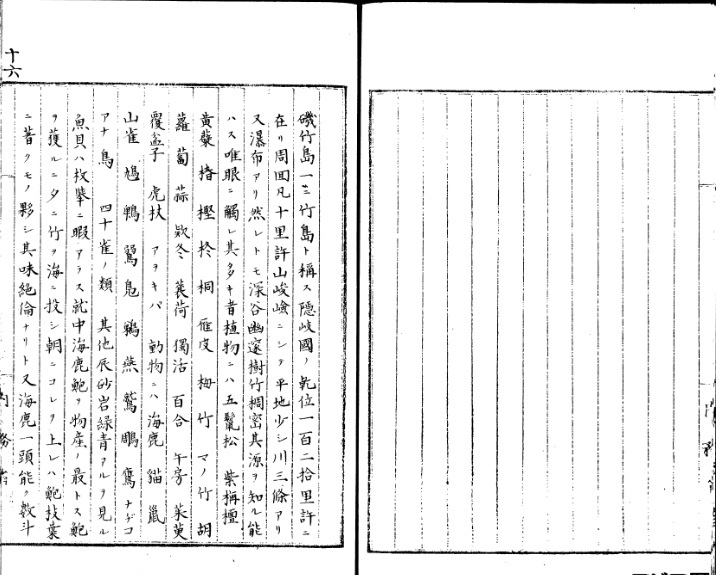 Korea apparently held a dominant position on the island before 500 A.D., but its claim to control in subsequent periods is not supported by the facts available. On the contrary, there is little doubt that during the last 350 years Japan has exercised complete and effective control over Tsushima. The island of Tsushima (1) has been recognized for many years by the commnity of nations as an integral part of the Japanese homeland. 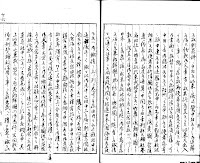 It was included in the territory placed under the Allied Military Occupation in 1945 instead of being detached from the Japanese Empire as conquered territory subject to future settlement at the peace conference. 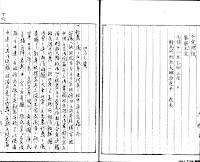 After the establishment of the Republic of Korea in 1948, however, Koreans began to demand Tsushima be taken from Jaapan and returned to them. 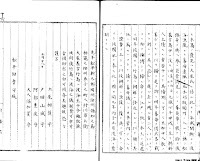 The Korean demands to date do not consitute a formal claim to sovereignty; they are, rather, declarations of future intentions and desires. 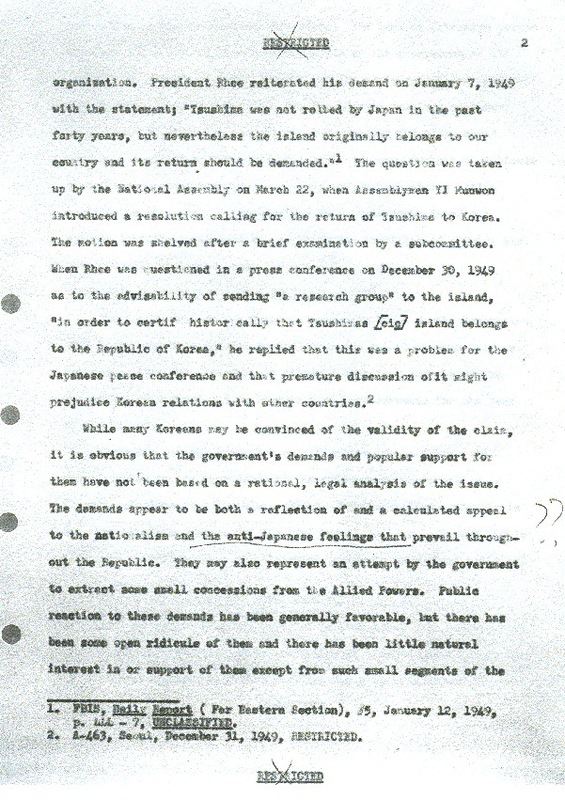 The first statement on the issue was made by President RHEE Syngman on August 17, 1948, when he said, "In the heart of every Korean is a longing for the return of those islands," and indicated taht this would be the only demand for territory made by his government against Japan. 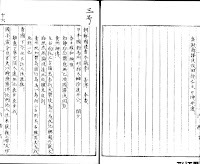 The Japanese Prime Minister immediately denied the validity of any Korean claim, and heated words were exchanged by the Korean and Japanese press. 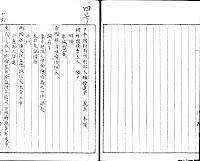 The Korean demand was stated again in a petition sent to the Supreme Commander for the Allied Powers in late 1948 by the Old Men's Patriotic Association of Seoul, a minor right-wing political organization. 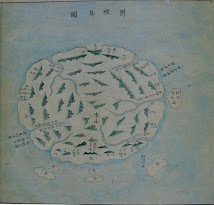 "The island of Tsushima" consists of (1) a single large island, about 70 miles long and 10 to 15 miles wide, that is divided into two major segments by small canals and (2) several minor islands. It is situated at the southern entrance to the Sea of Japan, approximately 27 nautical miles from the coast of Korea and 45 from Kyushu. 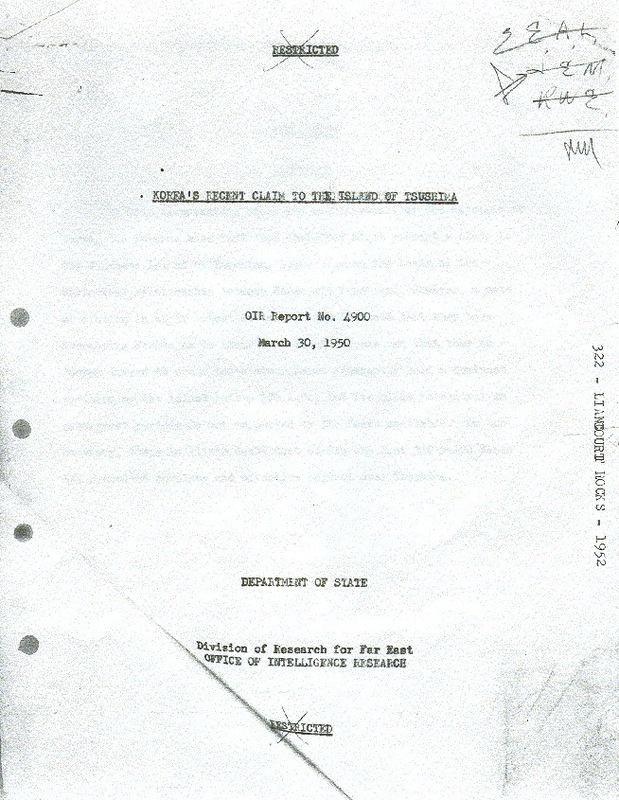 RBIS, Daily Report (For Eastern Section, 5, January 12 1949, p. 444 - 7, UNCLASSIFIED. 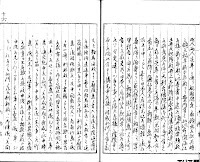 A-463, Seoul, December 31, 1949, RESTRICTED. 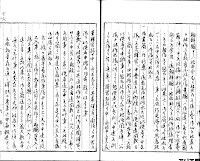 The Korean demands for Tsushima have been based on the assumption that Korea exercised genuine control over the island at some time in the past. Thus far, however, no attempts have been made to define the period of control and no reasons have been advanced for the loss of the island. 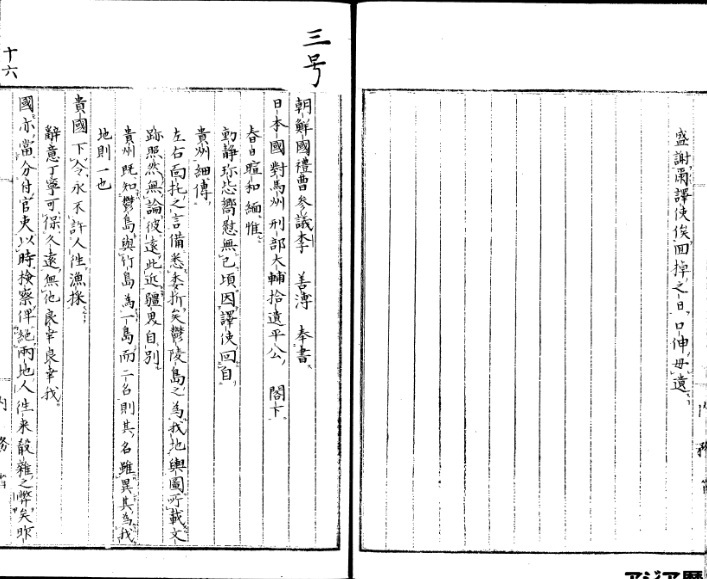 D-93, Seoul, January 25, 1950, RESTRICTED. 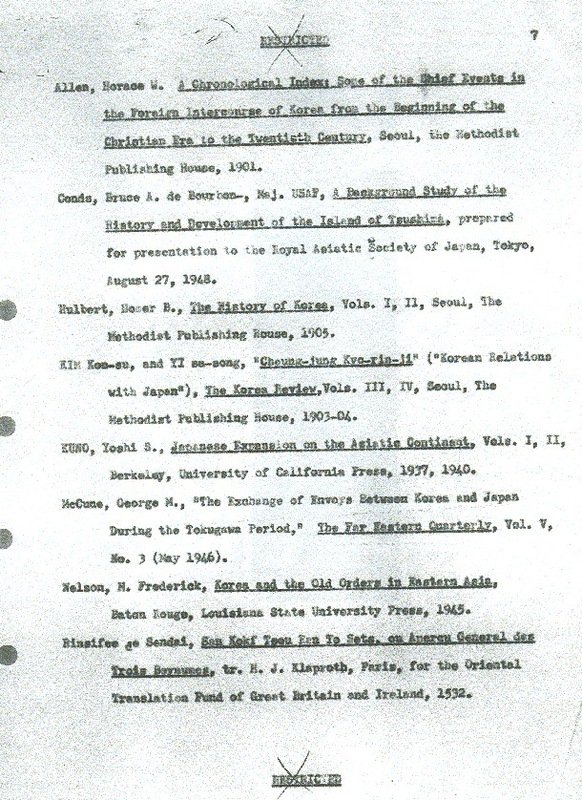 Almost no original source material is available. The sources that are available are vaue, confusing, and limited in scope; there are notable discrepancies in the reporting of alleged facts. 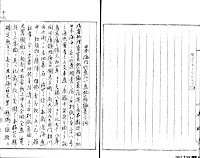 Much more American and Japanese source material is available than Korean, and as a consequence the Korean position may be underestimated. 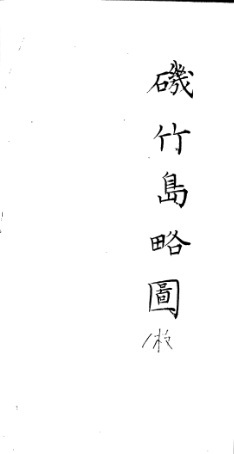 terminology because of the difference between Western and Oriental theories of interstate and inter-area relations. 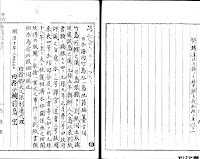 For example, under Korean Confucian and Japanese concepts of control several nations migh possess approximately similar political rights within the same area; such concepts obviously cannot be described by use of such Western terms as "dependence," "independence," "sovereignty," or "suserainty." 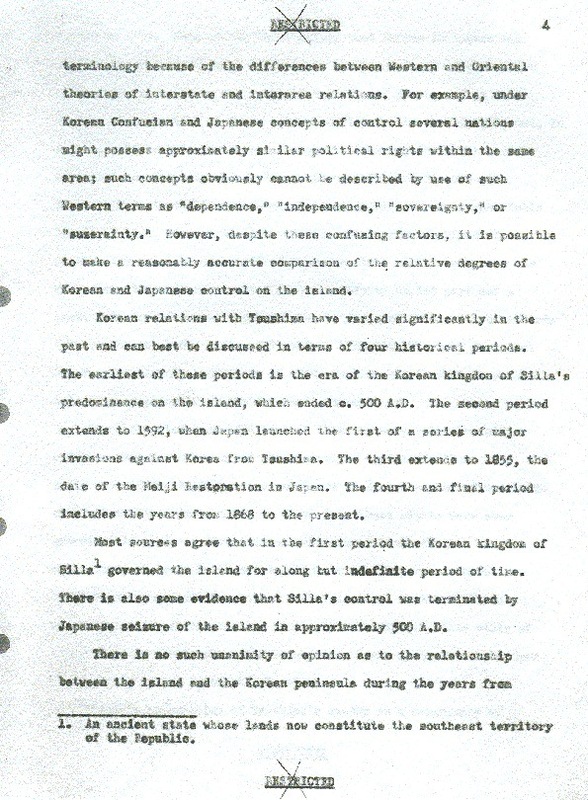 However, despite these confusing factors, it is possible to make a reasonally accurate comparison of the relative degrees of Korean and Japanese control on the island. 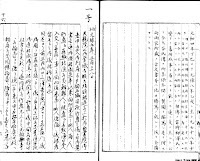 Korean realtions with Tsushima have varied significantly in the past and can best be discussed in terms of four historical periods. 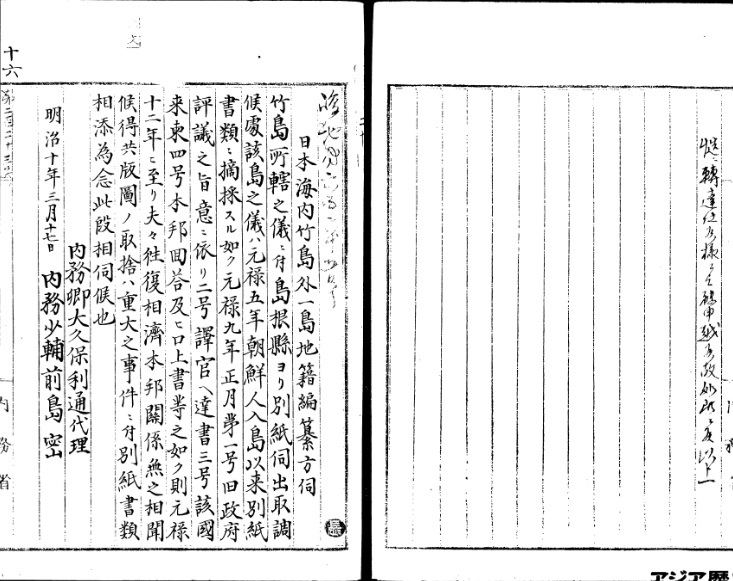 The earliest of these periods is the era of the Korean kingdom of Silla's predominence on the island, which ended c. 500 A.D. 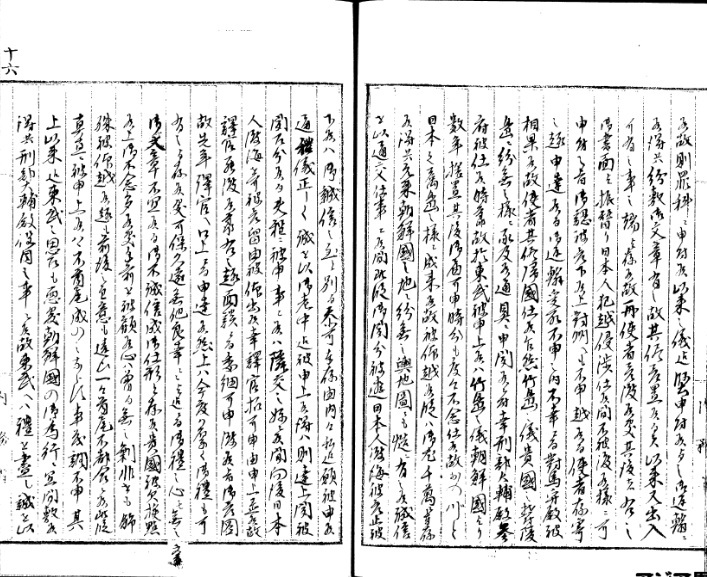 The period extends to 1592, when Japan launched the first of a series of major invasions against Korea from Tsushima. 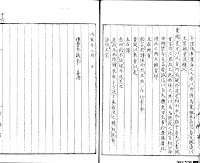 The extends to 1855, the date of teh Meiji Restoration in Japan. The fourth and final period includes the years from 1868 to the present. 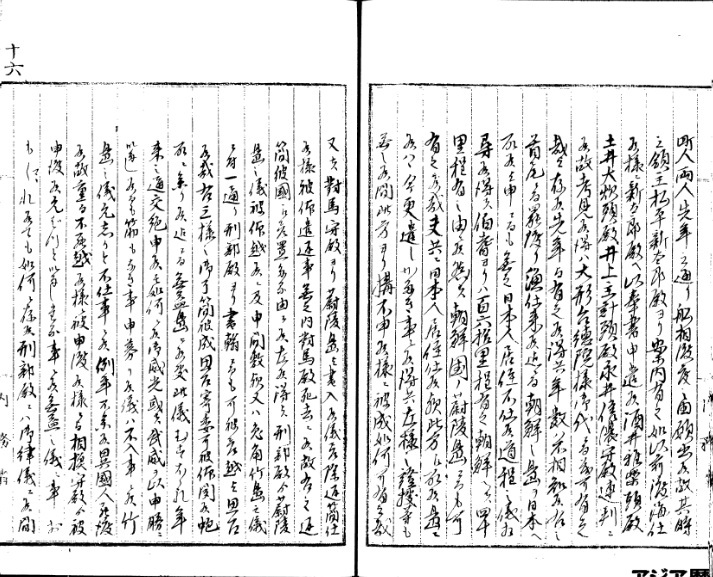 Most sources agree that in the first period the Korean kingdom of Silla (1) governed the island for a long but indefinite period of time. There is also some evidence that Silla's control was terminated by the Japanese seizure of the island in approximately 500 A.D.
An ancient state whose lands now consitute the southeast territory of the Republic. 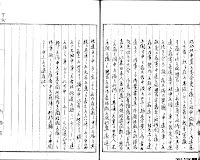 Korean influence was still paramount; references are made to the investiture of the rulers of Tsushima with titles and seals by the King of Korea, and it is claimed that the King of Korea paid subsidies to the island lord, who, in return, paid tribute and homage to Korea. 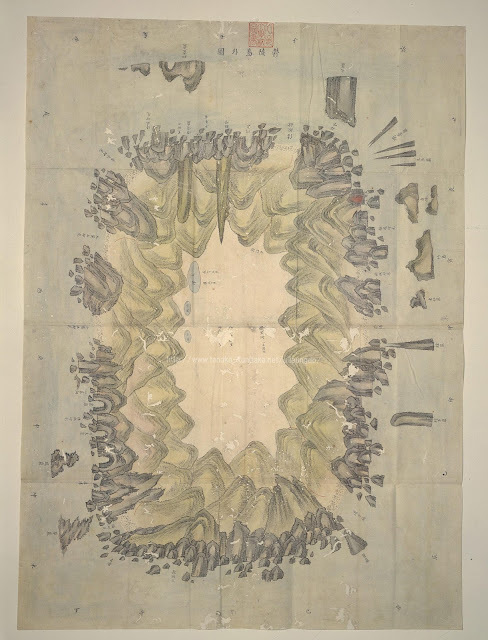 However, the great number of invasions of the island by Korea during this period casts some doubt on Korea's ability to maintain control there for any appreciable length of time, even at the cost of war. 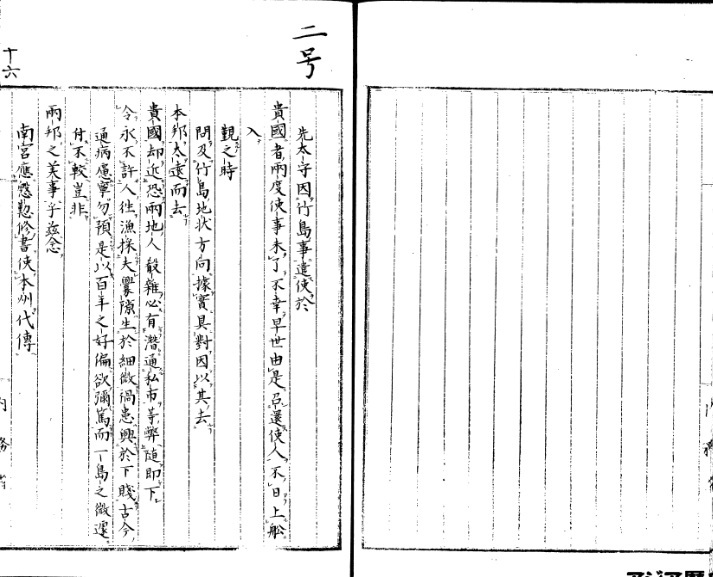 Similar allegations of paramountcy are made on behalf of Japan in other works. However, the role claimed for Japan required greater activity on its part and a greater degree of control over island affairs, and this evidence accords better with the known facts of Tsushima history. 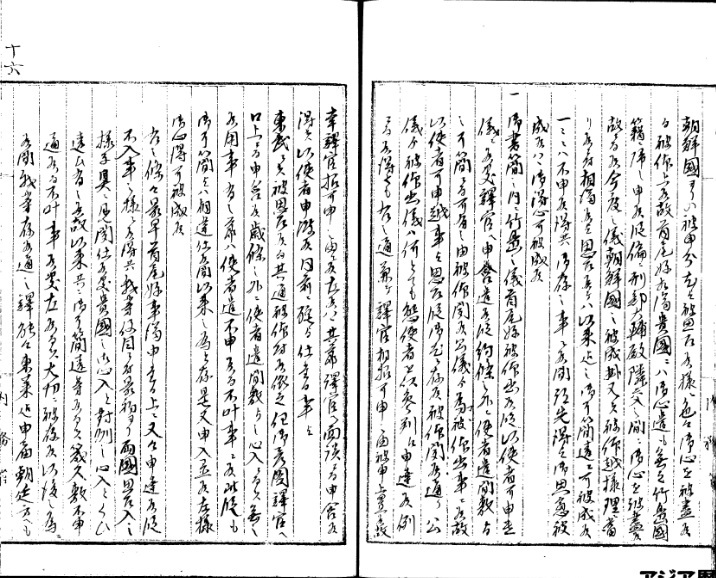 The very fact that the Japanese invasion of Korea in 1592 was launced in part from the island presupposes effective Japanese control. 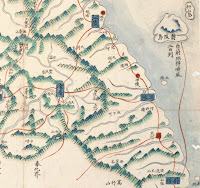 For the period from 1592 to 1668 there is very little specific evidence that Korea exercised any control on the island. 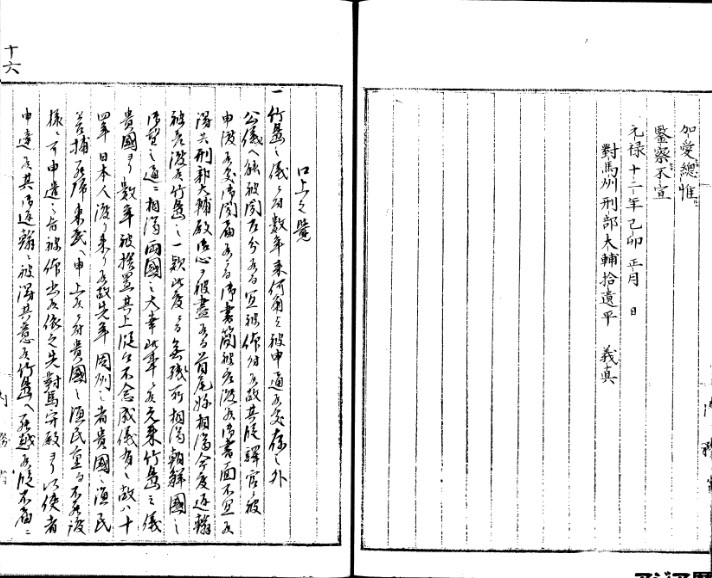 Even the texts that affirm belief in the existence of Korean rights of overlordship offer little information to prove that these rights were ever exercised in open and direct interention in island affairs. 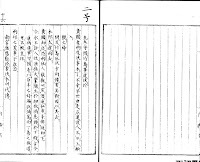 On the other hand, there is considerable evidence that Japanese control was complete and open and that it was peaceful, i.e., that both Korea and Tsushima acquiesced in, and willingly acknowledged, this state of affairs and no other nation challenged it. Japan appears to have been the de facto ruling power at this time. 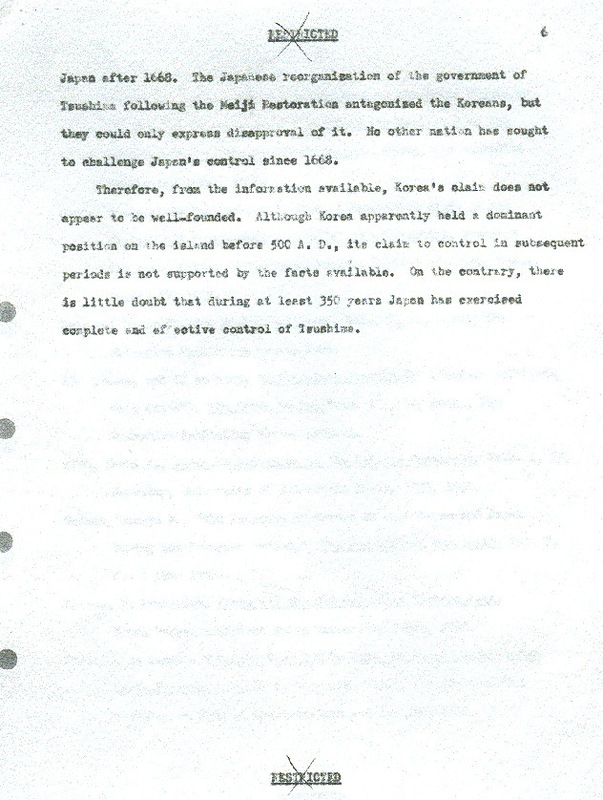 There is no question of Tsushima's status as a dependency of Japan after 1668. 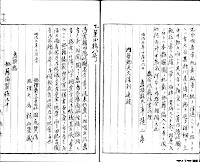 The Japanese reorganization of the government of Tsushima following the Meiji Restoration antagonized the Koreans, but they could only express disapproval of it. 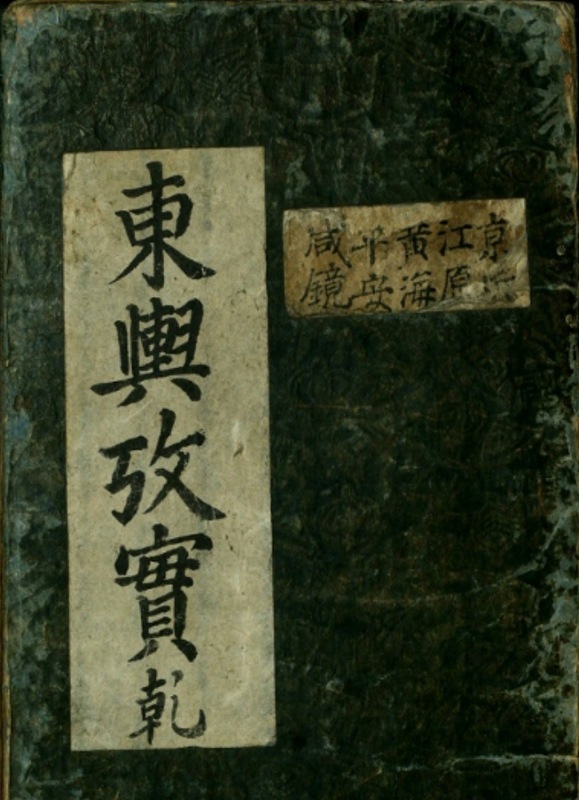 No other nation has sought to challengde Japan's control since 1668. 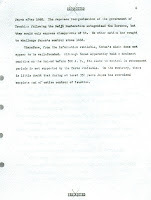 Therefore, from the information available, Korea's claim does not appear to be well-founded. 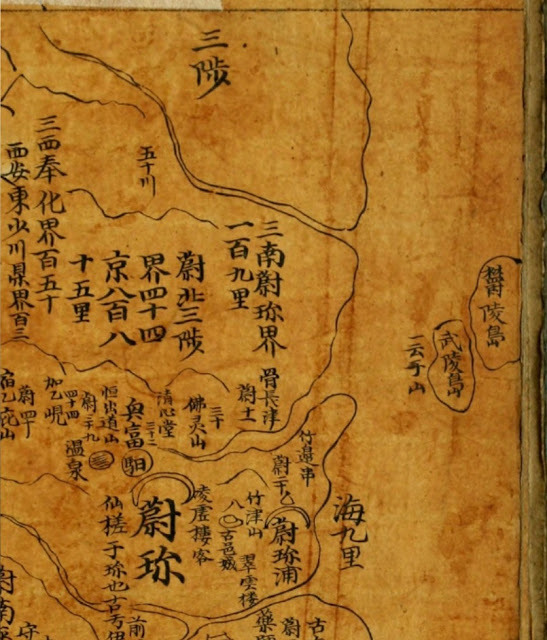 Although Korea apparentlyy held a dominant position on the island before 500 A.D., its claim to control in subsequent periods is not supported by the facts available. On the contrary, there is little doubt that during at least 350 years Japan has exercised complete and effective control of Tsushima.